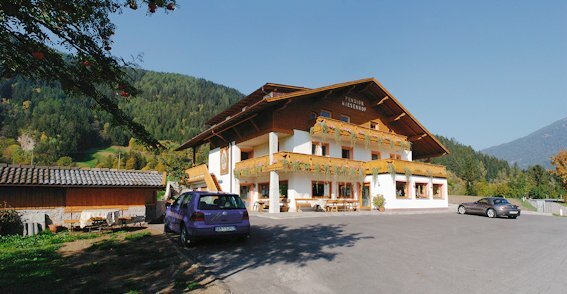 We welcome you to the small and sunny mountain village of Fuldres- at the Pension Wiesenhof – for a relaxing holiday in the mountains of South Tyrol. Our guesthouse in Campo di Trens/Vipiteno is off the main road, and is therefore the ideal starting point for exploring the magnificent mountain world of the Alta Val d’Isarco. 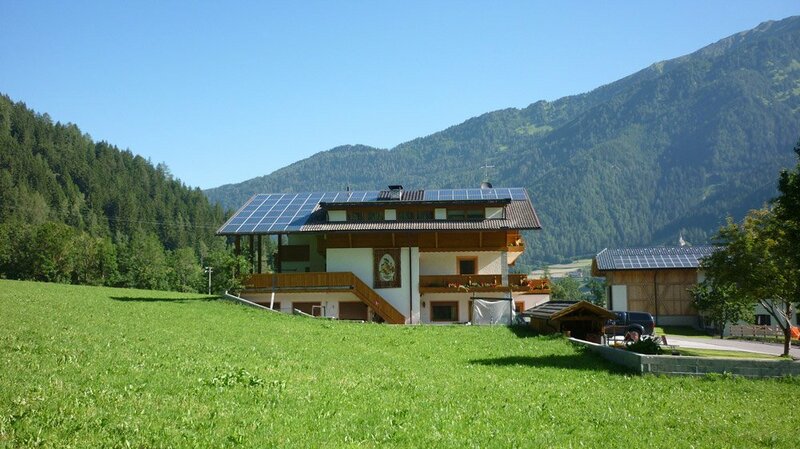 Your vacation home in South Tyrol lies at an altitude of 970 meters and is surrounded by a beautiful alpine panorama. Our house was built in 1974, and after a thorough refurbishment and restoration in recent years, it now shines in its former glory. During the renovations, the rooms were newly furnished and equipped with many extras that will make your stay as pleasant as possible. In our holiday guesthouse you will enjoy relaxing vacation days south of the Alps. The lawn in front of our house invites you to peaceful hours in the sun. In the table tennis room, you can play a thrilling match at the table tennis table, and in our private tavern you may enjoy the culinary delights of the alpine and Mediterranean cuisine. The nearest town is the mountain village of Mules, which is located two kilometres from our house. Nearby there is a playground where the youngest guests can play and romp freely. If the weather is bad, our games room with table football and painting corner is a perfect choice. Every morning, in our guesthouse in Campo di Trens/Vipiteno we pamper you with a rich breakfast buffet.